Vinyl’s resurgence has led to bands and artists venturing away from the traditional black finish to requesting vibrantly-colored records they can sell as collector’s items. Gmucs has mastered the art of making splatter patterns -- sprinkling in vinyl scraps during the pressing process to create stripes and swirls. Now, he’s taking his creations to a new level by experimenting with different materials to create intricate designs. Gmucs has his own work station set up at the back of the noisy pressing plant. "If you see my set up, I sort of feel like a chef over here, cooking up vinyl," he said. "I was just watching the way the two different colors were reacting with each other and it was basically on temperature. Two different vinyls have two different tints, have two different operating temperatures. I started coming up with ideas and making sure it doesn't affect the play." His custom pressings are sold through Gotta Groove Records as his own Wax Mage Records. Wax refers to original master discs that were made partly from wax. Now masters are made with lacquer. A mage is another word for a magician. 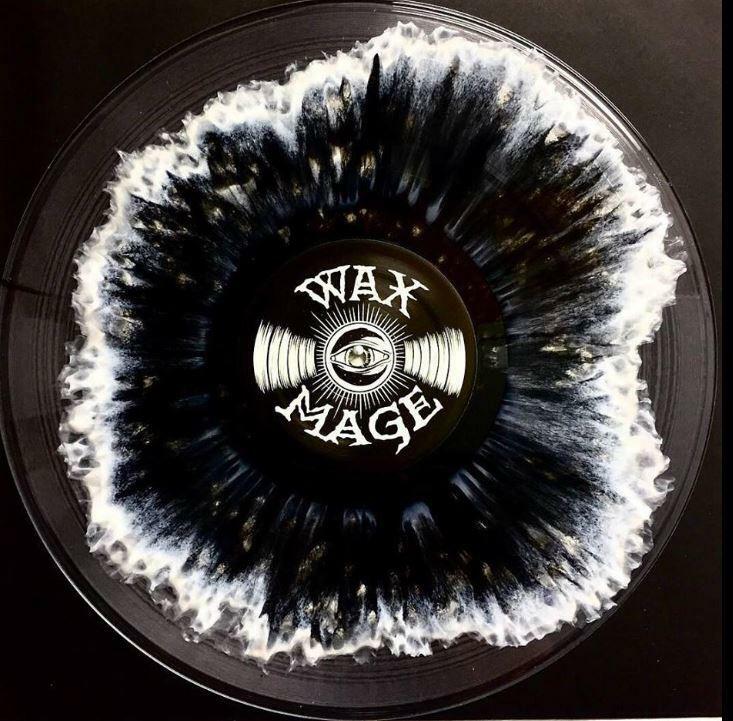 Gmucs says some bands and labels request specific designs they've seen on Wax Mage Records' Instagram, while others just ask him to make his magic. "I like to listen to the music. I like to look at the label art and the jacket art and get a feel for the whole package and then complement that." While a press drops a record roughly every 40 seconds, Gmucs says he'll spend up to an hour to make about 25 custom records. But he says it's worth it. "I put 25 customs up for sale on my website, and they're gone in 30 minutes or less." Gmucs says he's gotten some weird requests for designs over the years. "We worked with Anti-Flag and made some records that had a singed-up American flag burned into the record. Hellmouth ordered 666 records. They wanted 66 of those records to have ashes from this 18th century bible inserted into them. We've also put coffee, shredded money and glitter in records." Late last year, one of Gmucs' designs won "Best Record Art" at the Making Vinyl global industry conference in Detroit. It was for a compilation album of Cleveland artists called Double Trouble. Gmucs is also a musician and recently launched his own record label that he says is a way to make his designs more accessible for Cleveland artists. Over the weekend, hundreds of musicians offered special vinyl releases for the 10th Annual Record Store Day. And some of those shiny black disks were pressed right here in Northeast Ohio. WKSU's Kabir Bhatia has more on how those records are made. “We’ll turn our helium on here,” says Dave Polster. He isn’t a dentist, and he’s not filling balloons. He’s a mastering engineer, and he’s getting ready to cut a lacquer at Well Made Music in Cleveland.